After releasing a SaaS-managed Kubernetes solution in 2017, Platform9 announced Platform9 Managed Kubernetes (PMK), its new managed Kubernetes service on VMware. The new managed service, announced Monday, is available now worldwide through Platform9 partners, and Platform9 claims it’s the industry’s only fully managed Kubernetes service that works on existing infrastructure. It also delivers visibility and management across Kubernetes environments that are on-premises, in the public cloud, or at the edge. Sirish Raghuram, co-founder and CEO of Platform9, said Kubernetes on VMware has come a long way. On its website, Platform9 says PMK is a necessary addition to its hybrid cloud solution, allowing customers to centrally manage VMs, containers and serverless functions on any environment with a single interface. 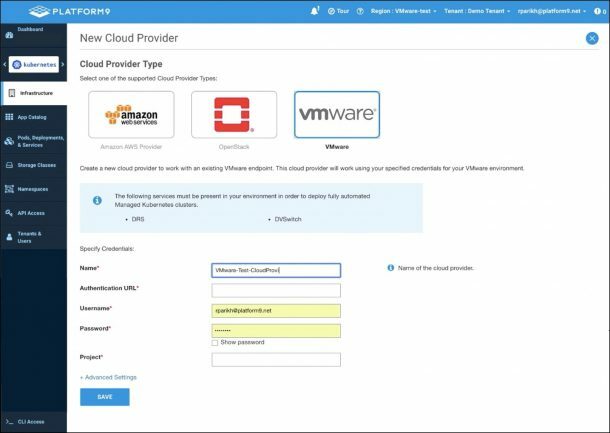 The website also references competing vendors such as VMware PKS (Pivotal Container Service), and while PKS boasts a similar tool set needed to run Kubernetes, it requires them to be installed and provisioned by the customer. “While PKS provides all the tools needed to run Kubernetes in production, the burden is on the customer to operate these systems with strict SLAs,” the company said.